(Last revised 09/17/2018. To view previous version please click here). 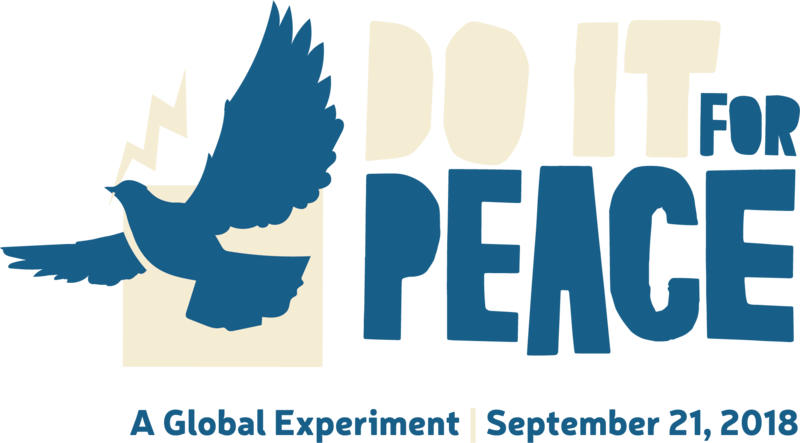 Welcome to www.DoitforPeace.org website ("Website"), which is operated by Kids For Peace (“KFP” or “Us”). The following Terms and Conditions (“Terms”) govern your use of the Website and any other websites operated by KFP unless there are different terms posted on those other websites. YOU MAY NOT USE THE SITE OR THE SERVICES IF YOU DO NOT AGREE TO THESE TERMS. IF YOU ARE UNDER THE AGE OF 18, YOU MUST OBTAIN THE CONSENT OF YOUR PARENT OR GUARDIAN TO USE THE WEBSITE AND BEFORE SUBMITTING ANY USER CONTENT. Other than content you own, which you may have opted to include on this Website, under these Terms, KFP, its licensors and/or other 3rd parties, own all rights to the intellectual property and material contained in this Website, and all such rights are reserved. Certain areas of this Website are restricted from access by you and KFP may further restrict access by you to any areas of this Website, at any time, in its sole and absolute discretion. Any user ID and password you may have for this Website are confidential and you must maintain the confidentiality of such information. In these Terms, "Your Content” and/or "Content" shall mean any audio, video, text, images or other material you choose to display on this Website. With respect to Your Content, by displaying it, you grant KFP a non-exclusive, worldwide, irrevocable, royalty-free, sublicensable license to use, reproduce, adapt, publish, translate and distribute it in any and all media known or hereafter known throughout the universe. Your Content must be your own and must not be infringing on any third party’s rights. KFP reserves the right to remove any of Your Content from this Website at any time, and for any reason, without notice. This Website is provided “as is,” with all faults, and KFP makes no express or implied representations or warranties, of any kind related to this Website or the materials contained on this Website. Additionally, nothing contained on this Website shall be construed as providing consult or advice to you. In no event shall KFP nor any of its officers, directors, employees, and any 3rd party partners, including but not limited to, Good News Network, LLC, Peace One Day, Insert Change, TaTaTu ("3rd Party Parnters"), be liable to you for anything arising out of or in any way connected with your use of this Website, whether such liability is under contract, tort or otherwise, and KFP, including its officers, directors and employees and 3rd Party Partners, shall not be liable for any indirect, consequential or special liability arising out of or in any way related to your use of this Website. You hereby indemnify to the fullest extent KFP and any 3rd Party Partners from and against any and all liabilities, costs, demands, causes of action, damages and expenses (including reasonable attorney’s fees) arising out of or in any way related to your breach of any of the provisions of these Terms. KFP is permitted to revise these Terms at any time as it sees fit, and by using this Website you are expected to review such Terms on a regular basis to ensure you understand all terms and conditions governing use of this Website. KFP shall be permitted to assign, transfer, and subcontract its rights and/or obligations under these Terms without any notification or consent required. However, .you shall not be permitted to assign, transfer, or subcontract any of your rights and/or obligations under these Terms. These Terms, including any legal notices and disclaimers contained on this Website, constitute the entire agreement between KFP and you in relation to your use of this Website, and supersede all prior agreements and understandings with respect to the same. Unlawful and prohibited uses. As a condition of your use of the Site and Services, you warrant to Us that you will not use the Site or Services for any purpose that is unlawful or prohibited or that is not expressly permitted by these Terms. For example, but without limitation, you may not access or use the Site or Services (a) in violation of any local, national, or international laws (including import, export, copyright, and trademark laws); (b) in any manner that could damage, disable, overburden, or impair any KFP server, or the network(s) connected to any KFP server, or interfere with any other party's use and enjoyment of the Site or any Services; (c) to gain or attempt to gain unauthorized access to any Services, other accounts, computer systems, or networks connected to any KFP server or to any of the Services, through hacking, password mining, or any other means; (d) to gain or attempt to gain access, through any means, to any materials or information that is not intentionally made available through the Services; (e) through a robot, spider, or other automated means; (f) to send unsolicited mail or communications, including any promotions or advertising; or (g) in a way that infringes the rights of or willfully harms any person or entity, including KFP. KFP reserves the right at all times to (a) disclose any information to the extent necessary to satisfy any applicable law, regulation, legal process, or governmental request; or (b) edit, refuse to post, or remove any information or materials, in whole or in part, in KFP's sole discretion; or (c) to terminate your account, or to cease offering the Site or Services, in whole or in part, in KFP's sole discretion, without prior notice. User content. Certain features of the Site or Services may allow you to upload, post, or otherwise submit pictures, comments, feedback, information, or other materials and information that may be available to other users of the Site or Services (“User Content”). By posting User Content, you represent and warrant that you own or otherwise control all rights to the User Content, including without limitation, all rights necessary for you to upload, post, or submit the User Content. You also represent and warrant that the User Content will not infringe or violate the rights of any third party, including the rights of publicity, personality, or privacy. You represent and warrant that the User Content will not violate any law, or in any manner infringe or interfere with the rights of others, including but not limited to the use of names, information, or materials that (a) libel, defame, or invade the privacy of any third party, (b) are obscene or pornographic, (c) are harmful, threatening, offensive, abusive, harassing, vulgar, false or inaccurate, racially, sexually, ethnically or are otherwise objectionable or otherwise contrary to the laws of any place where such Submissions may be accessed; (d) constitute personal attacks on other individuals; (e) infringes the intellectual property, trade secret or proprietary rights of any third party; (f) promote criminal or other illegal activity; (g) promote or advertise any person, product or service or solicit funds; or (f) are deemed confidential by any contract or policy. Lokai does not claim ownership of your User Content, but by submitting it, you (i) grant KFP a non-exclusive, royalty-free, perpetual, transferable, irrevocable and fully sublicensable right to use, reproduce, modify, adapt, translate, distribute, publish, create derivative works from and publicly display and perform such User Content throughout the world in any media now known or hereafter created without attribution; (ii) grant KFP the right to pursue at law any person or entity that violates your and/or KFP's rights in the User Content; and (iii) forever waive any and all of your rights, including but not limited to moral rights, if any, in and to the User Content, including, without limitation, any all rights or requirements of attribution or identification of you as the author of the User Content or any derivative thereof. You further acknowledge and agree that the User Content is non-confidential and does not contain proprietary information. KFP does not pay compensation for any of your User Content and has no obligation to post or use any User Content you may provide to Us, and KFP may remove any User Content at any time in its sole discretion. Unsolicited ideas. KFP does not accept or consider unsolicited ideas, including ideas for new products, advertising campaigns, promotions, or marketing plans. PLEASE DO NOT SEND ANY ORIGINAL CREATIVE ARTWORK, SAMPLES, OR IDEAS. If you send us ideas or materials, KFP will not compensate you for them and will not treat them as proprietary or confidential. Third Party Websites and Content. The Site may contain links to or features of other websites for the convenience of users in (a) locating information, products, or services that may be of interest, or (b) contributing User Content or making User Content available to or through the Site. Use of such third party links or features is entirely at your own risk. KFP does not recommend and expressly disclaims any responsibility for the content, the accuracy of the information, or quality of products or services provided by or advertised on third party sites or the transactions you conduct or enter into with third parties. Your use of any third party’s website is at your own risk and subject to the terms and conditions of such other websites. KFP does not endorse any product, service, or treatment provided on a third party website or advertised or provided on the Site.